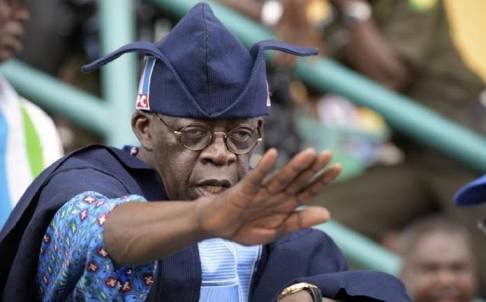 Asiwaju Bola Ahmed Tinubu (Lion of Bourdillion Roars ). All Progressive Congress (APC) Lagos state chapter will on Wednesday hold stateholders meeting in regards to local government election and others pressing issues rocking the party in Lagos. The meeting will kick of by 11am today and it is expected to have the party National leader Asiwaju Bola Ahmed Tinubu, the party Lagos state chairman Chief Henry Ajomale , vice chairman Cardinal Odumbaku, all the state excos, party leaders, the Lagos state APC electoral chairman Tokunbo Afikuyomi, the party legal adviser Muiz Banire, all the aspirants contesting for chairman under APC among others. However, a news that has been going round for a very longtime since the issue of local government came up is that the party National leader Tinubu said 19 among the 57 local government chairman should return unopposed and without primaries’. It has been discussed in several quarters and The City Pulse News gathered that there is no iota of truth in the statement credited to Tinubu. Even the party chairman was on a live radio programme where he said there is going to be primaries for local government election because that is the only way to sustain grassroots politics. However, the story took another dimension yesterday after an inconclusive meeting with Asiwaju Bola Ahmed Tinubu where a source in the meeting told The City Pulse News that Asiwaju said the 19 local government chairman should return without primaries , another source reveals that Asiwaju did not say that but what he said was that anybody that is popular and accepted by there people among the 19 should return without primaries and where it’s not so should go on primaries’. Based on our research some failed local government chairman like Julius Oloro of Ojodu LCDA, Bolaji Ariyo of Oshodi Local government, Toba Oke of Ifako Ijaiye among others has been going round BOASTING to tell party executives during wards visit that they don’t need there vote anymore, Tinubu whom they refer to as (IFA EKO) is coming to impose them on the excos to return them without primaries and Unopposed. When we heard this, the reaction we got from the party excos, leaders and even the electorate is not friendly at all as they have said they will quit the party and make sure they will do all within there reach to make such community ungovernable for any imposed chairman because if such chairman should be allow to comeback, they will inflict wrath on them. Some aggrieved youths like AYDAN, Ojodu progressive youths, Ifako heralds has promised to go against Asiwaju’s decision if he tries to impose those people on them. Grassroots is very important and wellbeing of our people is what Tinubu should consider not some self centered people, if he Asiwaju a true democrats has been like them the party won’t be like this today, a party leader in the state said. In another development, the primaries for the local government election is said to have been postponed from May 20 due to Eyo festival celebration. We will let you know when another date is fixed.